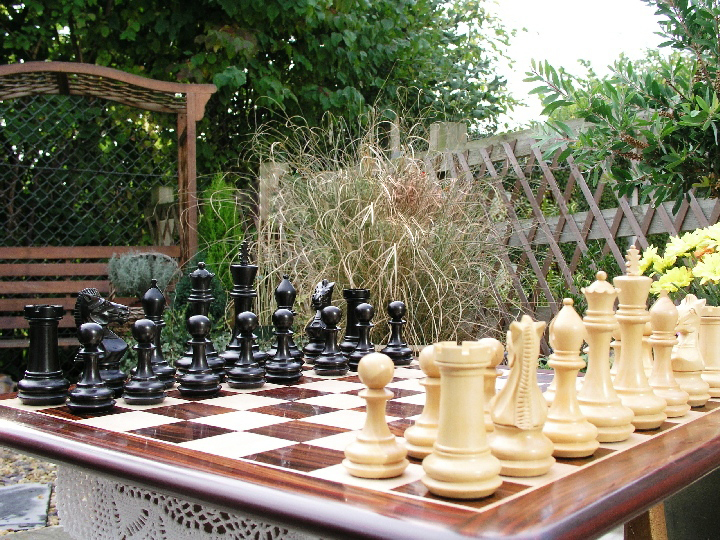 This product from Chess Baron: The 5 inch King version of the Chamfered base luxury set - nice perspectives, good sizing and great detail. 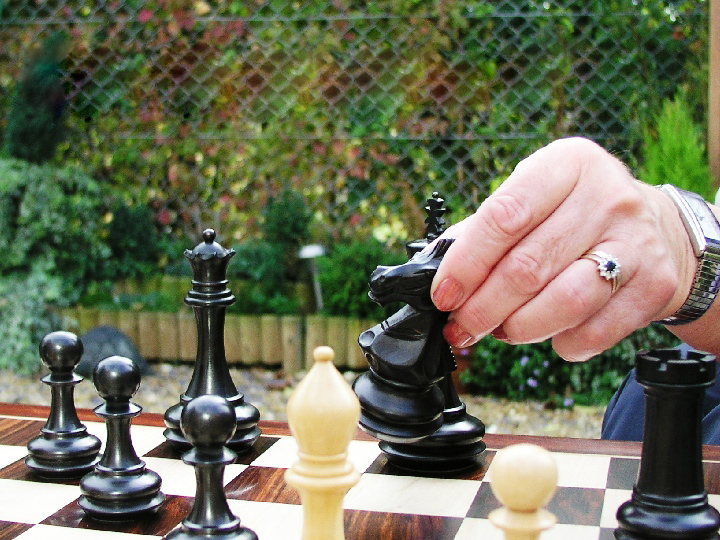 Play inside, play outside, play to win and play to enjoy. 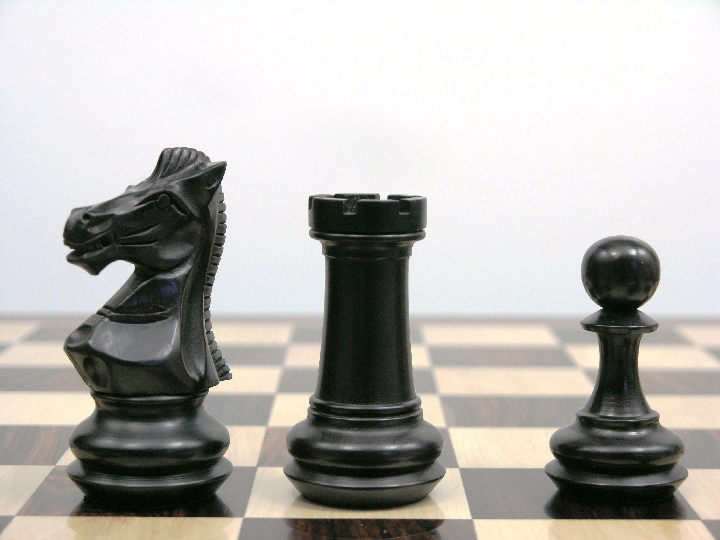 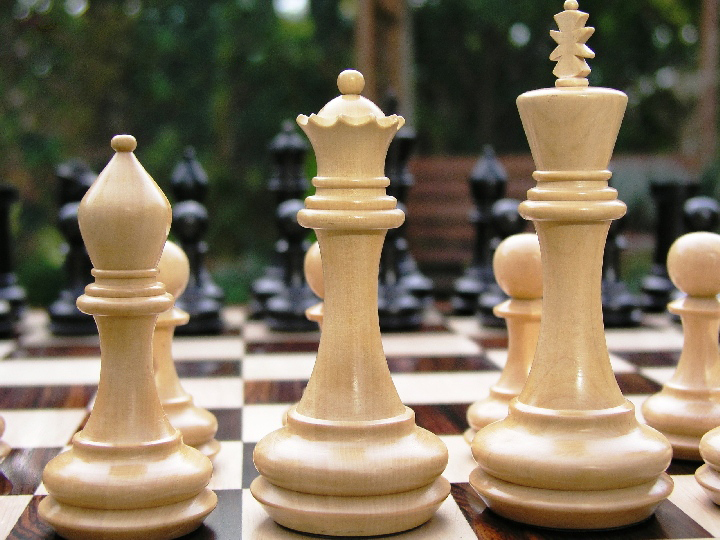 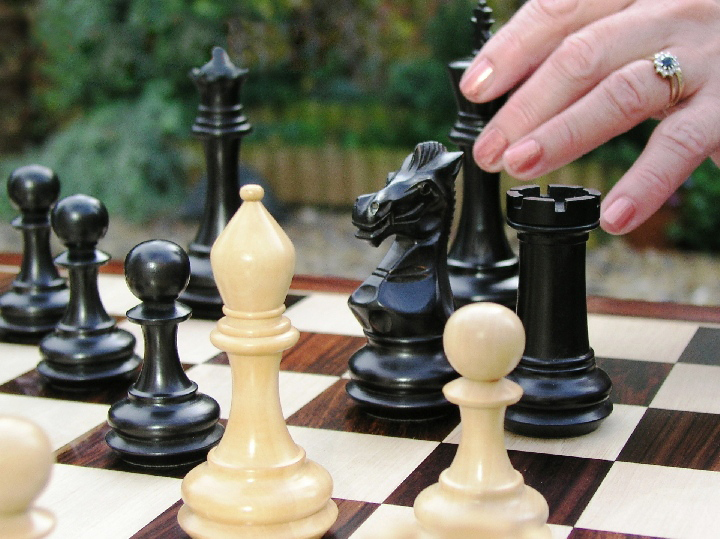 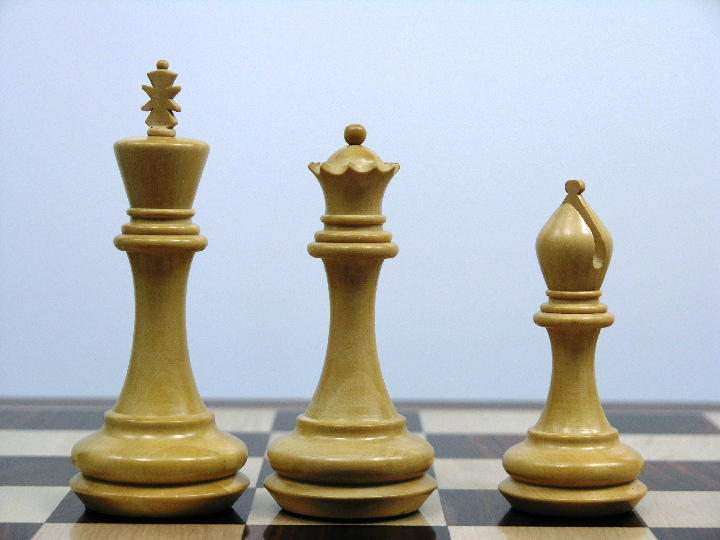 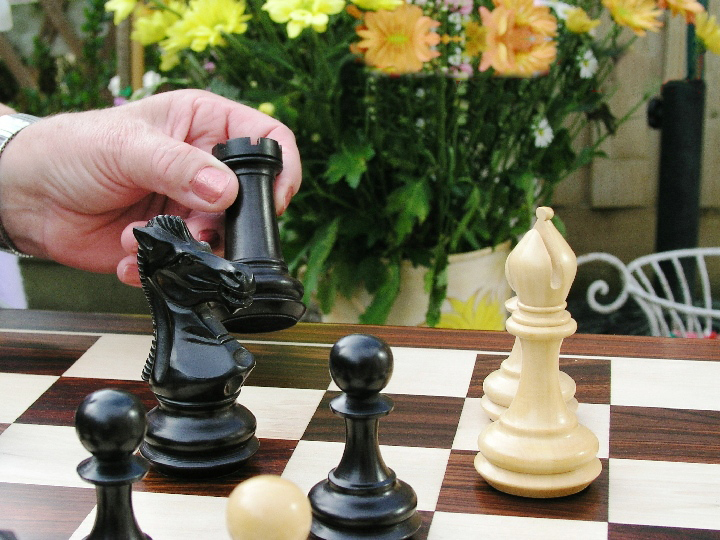 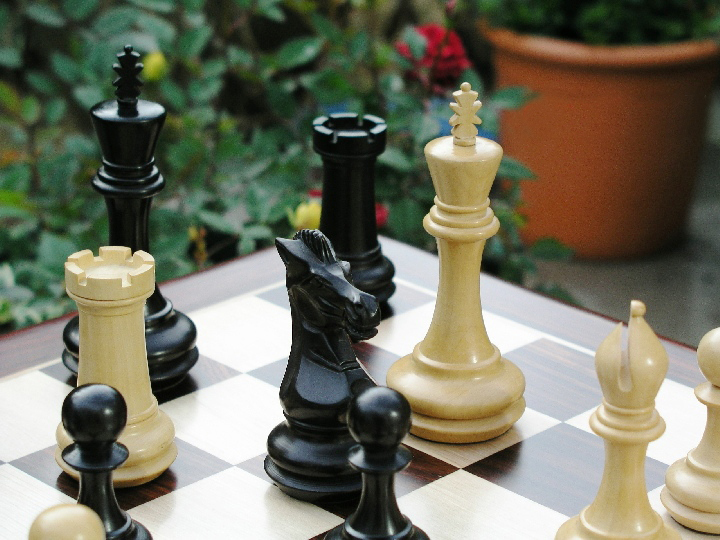 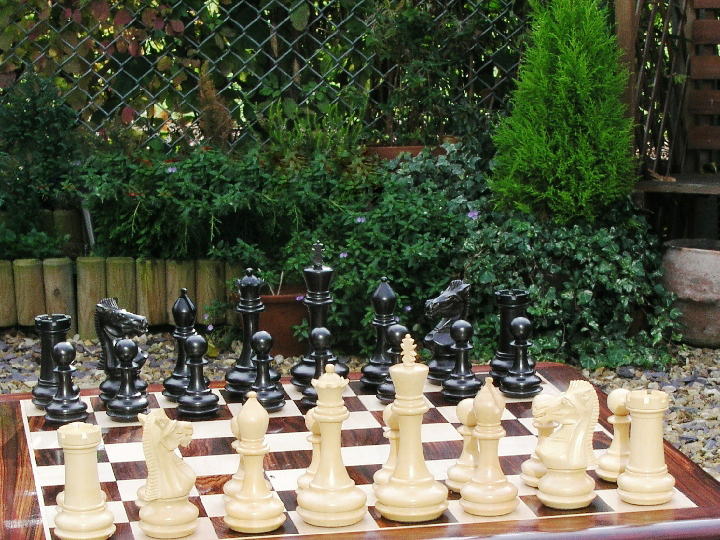 This luxury chess set will inspire you to enjoy new heights of the royal game even in the great outdoors of your 5 acre home or two up and two down in Richmond, Windsor or Glasgow - affordable luxury. 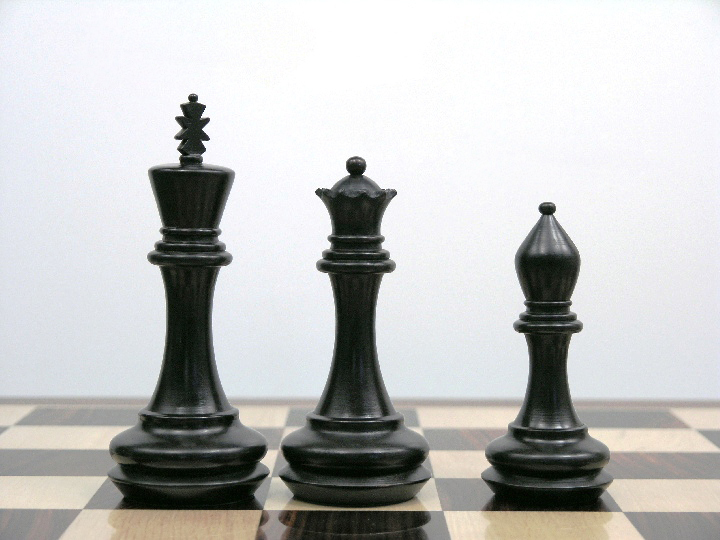 The board should be 2 inch squares.